PRESS RELEASE: Check out the official press release and full article posted on CCJ Magazine by Aaron Huff. Our latest white paper is a follow-up to Luma’s One-Size Orientation Fits All? Our Brain Doesn’t Say So publication. In that publication, Luma’s E2A model was described and guidelines were provided for implementing the model within your organization. Have you ever asked yourself, what is the return on investment with training? 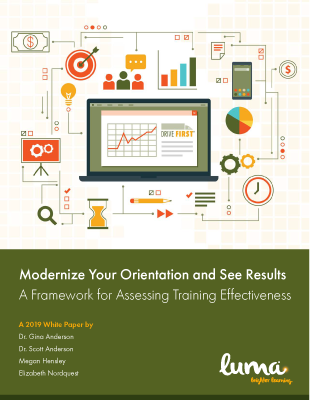 Our new white paper provides a framework for assessing training effectiveness, along with a recap of the Luma E2A Instructional Model. 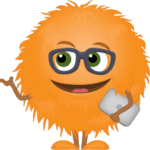 We share specific data which is shows that our model, which is foundational to DRIVE FIRST® eNuggets®, really works! Luma® works with carriers to customize their own learning solutions so users get the content they need when they need it. A wide variety of topics can be found in our orientation and training product, DRIVE FIRST®. To get access to the full library of DRIVE FIRST® content, give us a call at (574) 807-8148 or email info@learnwithluma.com.